From how to purchase PE clothes to the middle school handbook, these resources will help you get the answers you need. In August, Maroa-Forsyth Middle School has a registration day to pay fees, pick up schedules, and turn in forms before the start of the new school year. All sixth grade students must also have physicals, dental exams, and the necessary immunization shots before starting school. To find out when registration is as well as important information on fees, the first day of school, and school hours, please see our registration page. PE uniforms are available to purchase in the office. Shirts are $10, and shorts are $15. 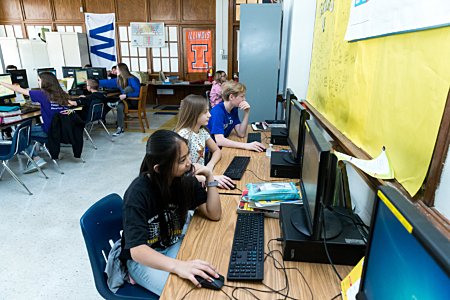 Maroa-Forsyth Middle School's handbook includes everything a parent needs to know including schedules, academic and extracurricular information, discipline and attendance guidelines, policies, and more. When it comes to closing school due to weather conditions, we approach this decision with the safety and well-being of our students as our highest priority. We understand that our decisions impact all families in various ways. School closing announcements are communicated via all official school district social media accounts, automated School Messenger system (voice, text, email), and local media outlets. Here are the guidelines the Superintendent uses to decide if schools will be closed. PBIS is a proactive systems approach to establishing the behavioral supports and social culture and needed for all students in a school to achieve social, emotional, and academic success. Maroa-Forsyth Middle School PBIS team establishes goals each quarter for behavior. We attempt to make all students have the opportunity to receive the reward. Rewards include lunch hour benefits, gift cards, free time, and special events, such as pajama dance or staff vs. student games. 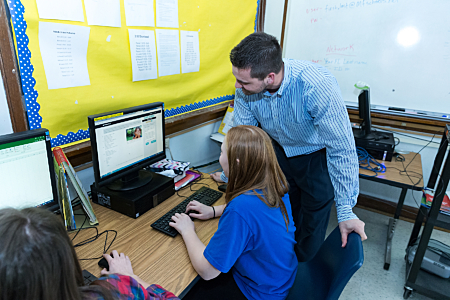 At Maroa-Forsyth, we want to minimize the risks of bullying, including cyberbulling. Please visit the Illinois Attorney General's Cyberbulling website to get tips and see the latest trends to keep your child safe. Pay school fees quickly and conveniently online!